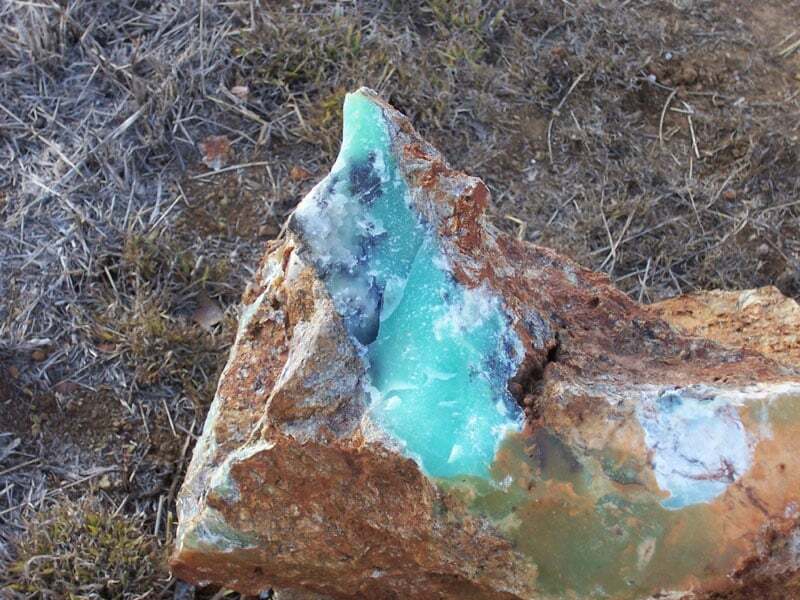 Chrysoprase is the name reserved for bright green cryptocrystalline quartz. It is a subvariety of chalcedony and owes its beautiful green color to the presence of nickel impurities in its crystal structure. The material was very popular in Victorian times when it was often used for cameos, intaglios, beads , nd cabochons. The material is said to date back as far as the Greek and Roman times but no proof of known deposits in that time has been found yet. Halfway through the 18th century, the deposit that supplied the Victorian jewelers was found in western Poland (Silesia). 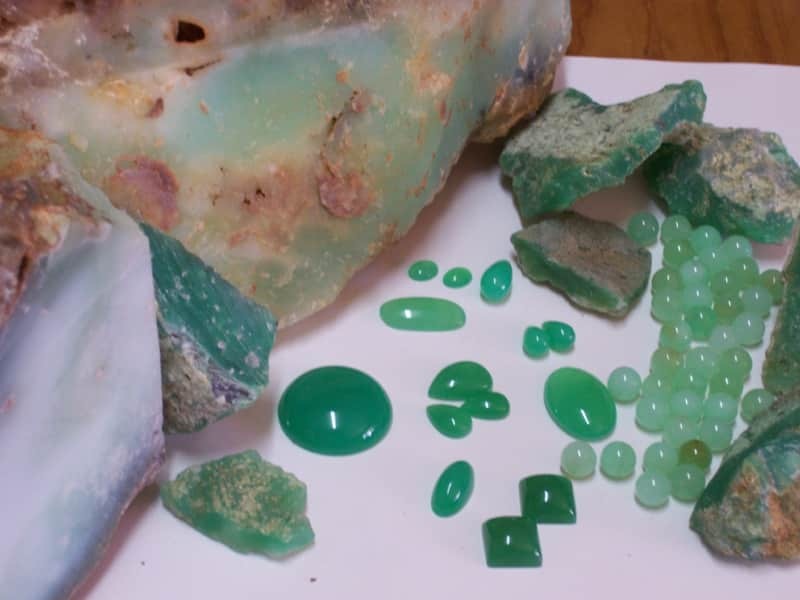 A second notable source is the East Coast of Australia where, since the 1960’s, chrysoprase of excellent color and quality has been found just north of Rockhampton. This deposit produces unbelievable big chunks of the material. Most of it was exported to Asia where it was being carved and sold as a jade substitute/simulant. 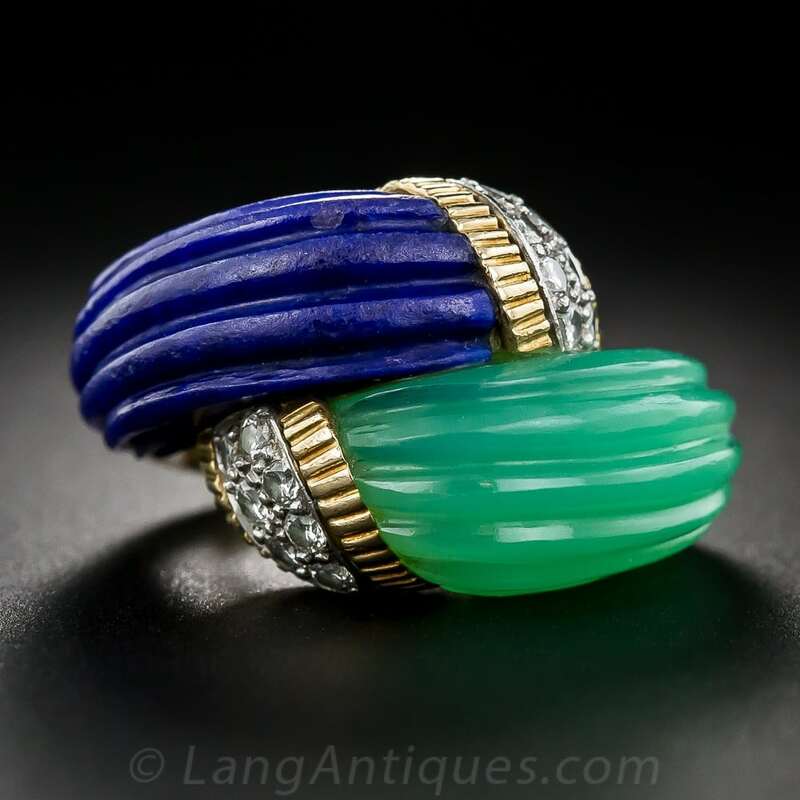 Chrysoprase and Lapis Bypass Ring. 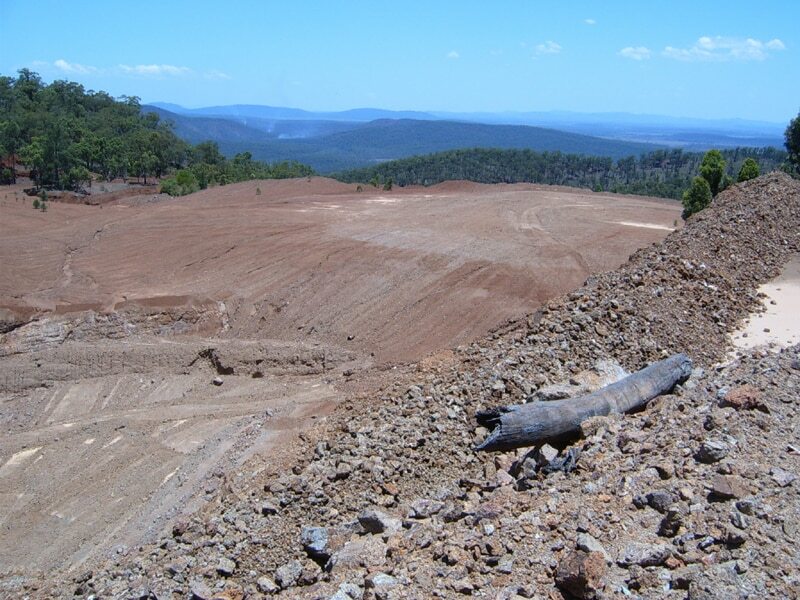 The mining operation at Marlborough by An Australian company called Coolamon mining came to a sudden halt when the people they were dealing with sold out their interests to Gladstone Pacific Nickel Limited who were given a lease over the whole area by the Queensland Government, and who plan to mine the resource for its nickel and cobalt. 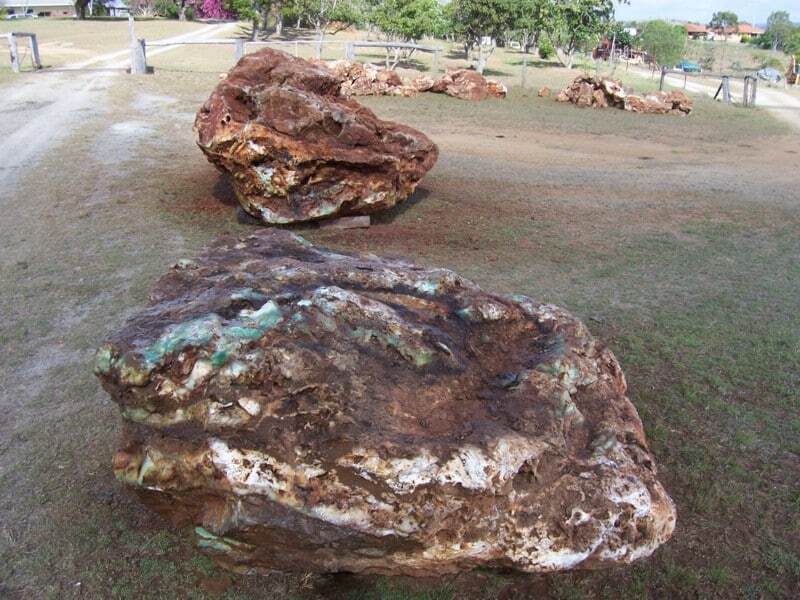 This might mean that all the lovely chrysoprase will disappear – just like it did at Greenvale, in North Queensland. 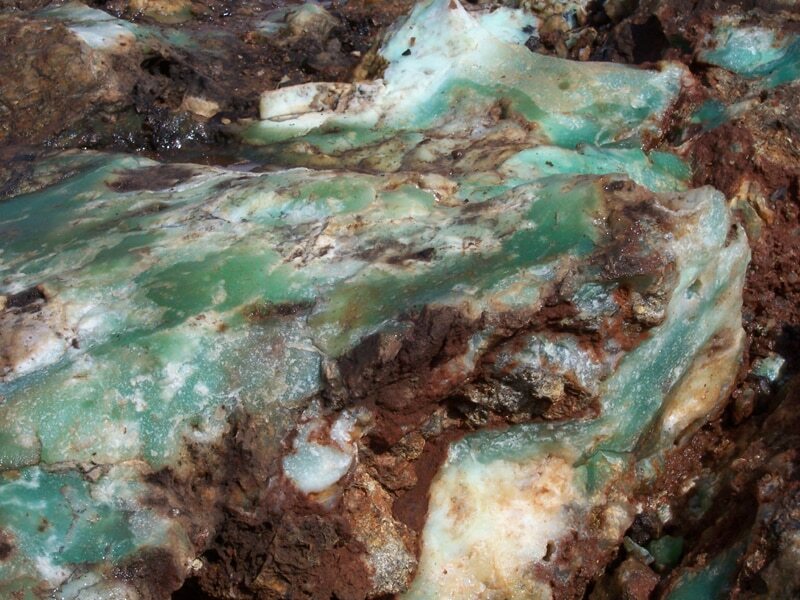 There is still a small amount of chrysoprase mining going on at Marlborough in a rather sporadic fashion. 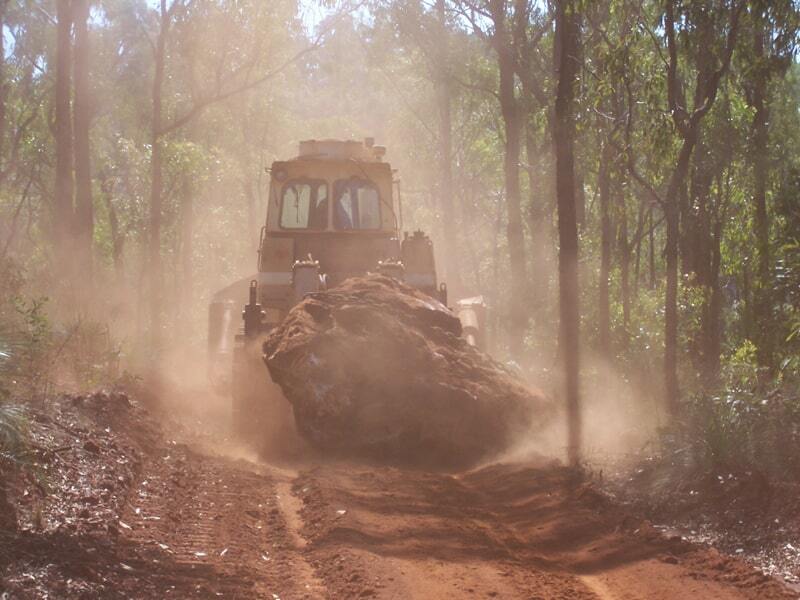 The company mining it will not allow any of its material to be sold in the rough. It is all put into sealed drums and shipped to China for processing and sale. It is believed that much of this material actually finds its way onto the gem market as jade. 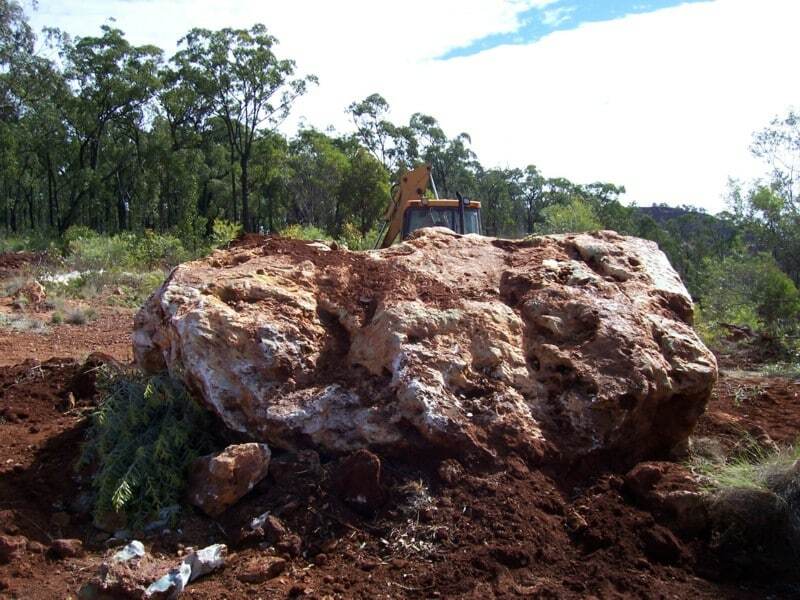 The biggest boulder Coolamon mined was 16,400 kilograms, but this one contains some included “country rock”. The best boulder, which is essentially solid material, weighs 9,000 kilograms. These boulders have a ‘skin’ of magnesite which is a few mms thick, and the solid material is underneath. They are extremely tough, and you can see in the photos below where large sledgehammers were used to break away small sections of the ‘skin’ to expose the material underneath. An Overview of the Chrysoprase Mining Area at Marlborough. A 16 Ton Boulder at the Excavation. The Boulders had to be Dragged to a Place Where they Could be Loaded. In the Foreground, a 9 Ton Boulder of Almost Solid Gem Material, Note the Chipped Area. A close up of the Chipped Area from the Previous Image. Rough and Polished Marlborough Material.